Based on the themes of resilience and innovation, Thailand is preparing to make sustainability more of a priority for Asean as the kingdom prepares to chair the regional bloc next year. As authorities in Thailand battle a measles outbreak in the country’s south the World Health Organization (WHO) has declared Singapore the latest Asean member state to eliminate the infectious disease, while Brunei has eliminated rubella. Prime Minister Gen Prayut Chan-o-cha has attended the ASEAN Transport Ministers Meeting in Bangkok, where he urged ASEAN member states to develop a seamless regional transportation network to benefit economic growth. 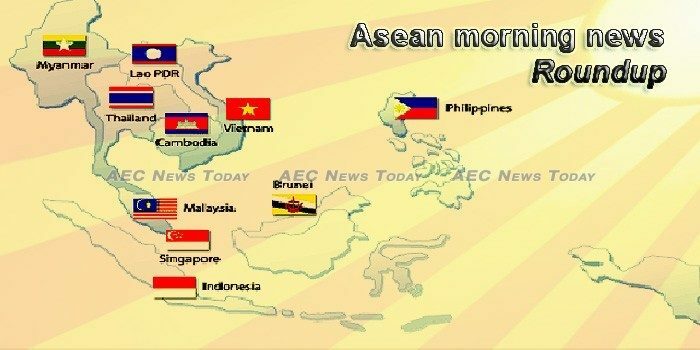 Thailand will chair the first 2019 summit of the Association of Southeast Asian Nations on June 22 and 23, the Nikkei Asian Review has learned. Prime Minister Prayut Chan-o-cha has urged Asean members to foster greater transport connectivity both within and outside the bloc to boost trade, tourism and investment. As the United Kingdom proceeds to leave the European Union, the Conservative Party government is busy promoting an international identity for itself under the banner of ‘Global Britain’. Tourism is a powerful tool for development. It represents 10 percent of the world’s gross domestic product (GDP) and provides 10 percent of jobs globally. IndoDefence, Indonesia’s largest military expo and forum, kicked off in Jakarta on Wednesday. Last year, Taiwan’s apex court ruled that the definition of marriage as a union between a man and a woman under Taiwan’s civil law is against their constitution, which effectively means that Taiwan is the first country in Asia to legalise gay marriage. China`s decision to legalize tiger bone usage for medicine has the potential to trigger poaching of Sumatran tigers, an environmentalist said. The government has decided to ratify seven international trade agreements (PPI) without the approval of the House of Representatives, the senior economy minister said in Jakarta on Wednesday, following a coordination meeting. Korea Energy Show, hosted by the R. Korea’s Ministry of Trade, Industry and Energy has ended successfully with export deals worth 59.4 billion won signed and 26.7 thousand visitors attending the show over the course of 4 days. A correspondent for Radio Free Asia and editor in charge of the Magwe Journal in Magwe Region has been charged under Section 68 of the country’s Telecommunications Act for allegedly posting information on his Facebook page that frightened the public, police said. Myanmar on Thursday signed an agreement with China’s state-run CITIC Group to begin work on a deep-sea port in the west of the country, after negotiations that saw the initial phase of the project scaled back over fears of a “debt trap”. The economy continued its growth streak of at least six percent for the 14th consecutive quarter but failed to keep up with market expectations, growing by 6.1 percent in the third quarter this year. Foreign direct investments (FDI) from January to October improved 156 percent to P39.3 billion, a development attributed by the country’s trade chief to the Duterte administration’s business reforms. President Rodrigo Duterte slammed TV network ABS-CBN anew, saying he would object to the renewal of its franchise.